New Democracy criticized the government and Alternate Finance Minister George Chouliarakis for missing a EuroWorking Group (EWG) meeting on Thursday to speak at an event at LSE in London. “While the second [program] review is at a crucial point after a year of delay and the country is at risk of missing its inclusion in [ECB’s] quantitative easing, the government is concerned with other things. The relevant minister, Mr. Chouliarakis, instead of representing the country at the crucial meeting of the EuroWorking Group, chooses to vanish,” the party said.“Is it a case of indescribable irresponsibility or is there something else going on?” ND added, noting that the responsibility belongs to Greek Prime Minister Alexis Tsipras. 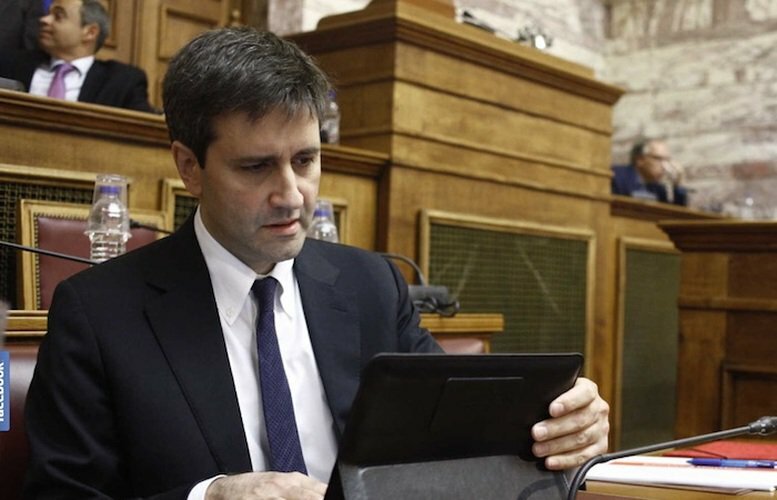 Earlier, finance ministry sources said that Panagiotis Nikolaidis, advisor to Alternate Finance Minister George Chouliarakis, will represent Greece at the EuroWorking Group (EWG) on Thursday instead of the minister, after consulting with EWG’s President Thomas Wieser. Chouliarakis will be giving a speech at the London School of Economics (LSE), the same sources said. The EWG will discuss developments in the implementation of the prior actions included in the second program review.